In the final chapter of the Tucker series, David Johnson introduces us to a new family – a family in need of the kind of help that only Tucker and her family can give. Benjamin Trevathan, who has Asperger’s Syndrome and a speech impediment, is a boy saddled with adult responsibilities in the midst of his dysfunctional home. He provides the majority of care for his younger siblings and for his mother who is sick with cancer. His stepfather stays gone for days and weeks on drinking binges, only to come home to take out his anger and frustration on his family. This family’s nomadic life brings them to the house that Ella used to live in beside Tucker. Tucker sets her sites on the evil stepfather, while April, who has returned with her own complications to live with Tucker, identifies with Benjamin’s struggles with being teased and bullied and decides she can help save him from self-destructing. This is a story of simple people engaged in heroic acts, the kinds of acts that change people’s lives. Some reviewers are calling this the best book of the series. I hope you will help me spread the word of its publication. 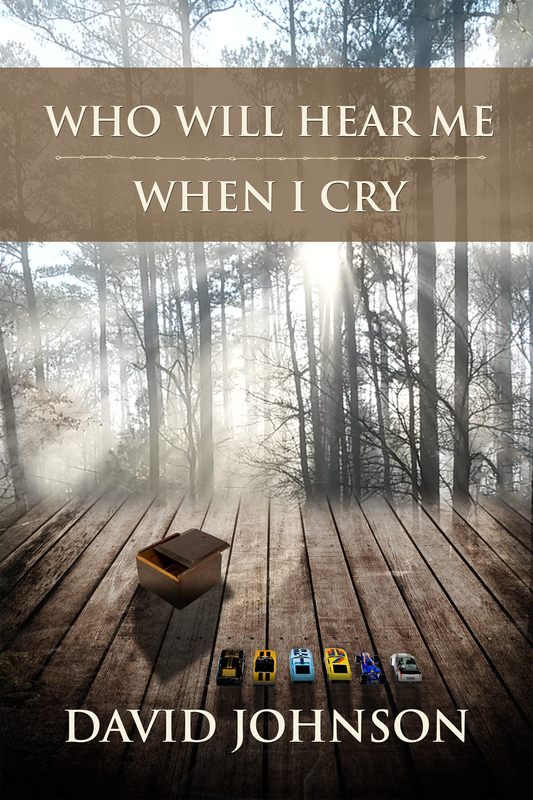 This is a direct link to the book: Who Will Hear Me When I Cry , or you can follow this link to my Author Page to find all my books. Also, the audio books are beginning to be rolled out as well. Even if you’ve already read the series, you will delight to hear the story told by a professional actress. Next Post Who is Tucker? I am sooooo excited for this book. I JUST bought it David and will be starting it yet this evening. I have waited sooooo long for this. Thank you so much, I am certain beyond measure that we will not be disappointed in this. I am looking forward to starting this new adventure with Tucker and her family. I thought I would share this with you as well…. just a lil project I’ve been working on…. HINT HINT HINT. When you have a spare moment check this out. I think you’ll find it interesting if nothing else. I hope it brings a smile. For any of you who love the Tucker series, please go and give this your support, ideas, encouragement… if nothing comes of it, at least it’s fun to ponder. But I would seriously LOVE to see Tucker made into either a series or a movie…wouldn’t that be amazing!!!!! Please take a look at the above link if you would too. Vin, thank you so much for your enthusiastic response to the Tucker series. I did check out the link and found it fascinating. Interestingly enough I have had some of the exact same ideas as you as far as the actors to portray the various roles, especially Kathy Bates for Tucker. She would be perfect! One other thing, Vin. Is it possible for you to change the picture on your movie-promotion site to the newer book cover of Tucker’s Way? If not, don’t worry about it. I’m not sure, I don’t own the site, and am not sure how much I can change once it’s put in originally, but I will try to do so…. I’m on it. 🙂 Will let you know when I’ve succeeded or failed… lol. After attempting to make that change, I realized that I am not sure it was ‘me’ who set that pic in there David, I think it’s possible they took that from the cover for Tuckers Way on Amazon, that may have been the most current one available to them at the time. I am not sure of this, but I think it’s very possible. Along with that thought is their notation that says to make changes please first contact: info@iflist.com . I haven’t done that yet, I thought it might hold more ‘weight’ if you would like to do so. I will be happy to contact them if they won’t make the change for you, it’s public though, so anyone should be able to add their own choices. The current image you are intending is the one showing the barn without “Tucker” up in the corner? We’ll get it changed I am sure it won’t be a problem. (Fingers crossed). That’s very interesting, isn’t it? I’d be curious to know who got it started. I’ll get in touch with them and see if I can get them to make the change. Thanks for trying. I sent a note to them but haven’t heard back yet.